Nuclear power has the ability to create energy, liberate countries from other energy sources like coal, oil, and water, and therefore pull a nation’s struggling economy forward after years of lagging behind other nations. In the process, the same nuclear power source can produce tension between players on the world stage as North Korea and Iran are doing today or force every global leader to deal with a disaster and the environmental fallout that leads to an energy policy debate about the viability of nuclear reactors. Nuclear energy has positives and negatives but the one point every one agrees with is that nuclear accidents are devastating to the environment and can wipeout entire city populations if the fallout isn’t controlled. As with any new technology, the process and procedures continually evolve. Engineers learn from design flaws and build systems that have better fail safes. Operator training improves as scientists and political leaders develop better ways to handle the unique challenges of running nuclear power centers. Reason for Accident-Flawed reactor design. Power surge. Lack of communication between operators and Soviet government Reason for Accident-Earthquake followed by Tsunami, generators on bottom floor. Lack of countermeasures based on current scientific research. Radioactive fallout-the radio nuclides reached as far as Britain and contaminated large areas of the Soviet Union, including Belarus, Ukraine, and Europe. Radioactive fallout-The Chernobyl accident released 10 times more material into the atmosphere than the Fukushima accident. Immediate casualties-50 people died immediately from radiation poisoning that includes the first responders (fireman, helicopter pilots, soldiers and miners) Immediate casualties-21 plant workers have been affected by radiation sickness. Several thousand people died from the Tsunami. Environmental Impact-livestock, vegetation, top soil, the surrounding communities and fallout that was moved by the atmosphere to surrounding countries Environmental Impact-More than 70,000 people have been evacuated within a 12 mile radius of the plant. Health Impact-4,000 children and adolescents contracted thyroid cancer soon, 4 died. Health Impact-Still being monitored. There are websites devoted to the analyzing what went wrong and how the fallout from Chernobyl affected the surrounding towns. YouTube has several documentaries devoted to how the nuclear disaster was handled by the Soviet government. What is interesting about each accident is the way information was publicized to local towns and to the workers dealing with the problems. It is study in how risk and crisis communication affected the aftermath of each accident. The Chernobyl disaster became more of disaster because officials did not tell primary people in government the severity of the problem. Therefore, they could not make decisions about moving people from the local area, specifically the town of Pripyat, near the Chernobyl plant where most of the reactor’s workers lived with their families. I took several days before the families were moved from the area. Six hundred workers answered the call or the order to clean up the nuclear debris after the explosion as well as pour sand and boron from the air by using helicopter flying over. All the while, pilots and other workers were absorbing massive amounts of radiation. According to the NRC, the Nuclear Regulatory Comission, 600 workers initially worked at the site immediately after the accident. Among those, 134 had radiation sickness. Of these, 28 died within the first four months of the disaster. In addition to the pilots who were hovering and flying over the reactor for long periods, miners were brought in to dig a tunnel underneath the reactor where a concrete sarcophagus would eventually be built. The miners were not told how much danger they were near when digging the tunnel right underneath the disabled reactor. The Chernobyl disaster is a testament to how people can answer the call. The Soviet era miners who are still alive to tell the story have commented in documentaries on the subject that who else would have been able to do it but us. The Fukushima accident was caused by an Earthquake and the resulting Tsunami which caused the meltdown of three reactors from the loss of power to the generators. This is different from a power surge that caused the Chernobyl disaster. Two different paths of communication exist when accidents and natural disasters occur. One is crisis communication that originates from the government and local agencies through the use of corporate media to the citizens affected by the natural or man made disaster. The other is risk communication that relies on the layers of government and other agencies to pass on vital information so decisions can be made and the public alerted. 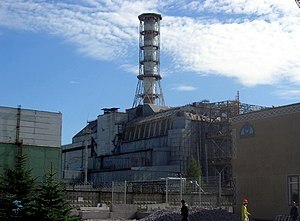 The Soviet government failed on many levels pertaining to Chernobyl while the communication process from the Japanese government to various affected groups performed better during and after the Fukushima crisis. Informing the public and making the decision to move citizens within the danger zone out of the area is one aspect of the disaster that went relatively smoothly, considering the Japanese government was also dealing with the damage done by the Tsunami. Nuclear power is here to stay. The challenge is to learn from the past while having enough imagination to think about future problems and put measures in place to prevent any accidents or disasters that may have dire consequences. post i thought i could also make comment due to this good paragraph.